I was blindsided by this choice, but it's fine. I'm fine. In case you've been under a rock, you know that Hannah B., also known as Alabama Hannah, is the new Bachelorette. While many argue over the fact that Hannah G. should've been the front runner (I mean hello, open your eyes ABC) I decided to have some fun with this. If you watched Colton's season at all, you know that Hannah B. had quite the facial expressions and catchphrases. Here are 7 times Hannah B. was all us, all the time. 1. She wants to be "in love"
Honestly, who doesn't want to be in love? Just sit back, get some popcorn, and watch the drama unfold. Why be subtle when you can just put it all out there? Just a little off her rocker, but it's what makes her entertaining. .. and if you don't give it to her, she'll tell you all the reasons you should. Because it is a lot healthier than just keeping it all bottled up, and sometimes it is okay to not save it for your pillow. We all are, especially after that episode. Now, granted if you wanted her to be "The Bachelorette" or not, you're probably like me and are too obsessed to not watch it. Just make the most of it and let her crack you up all season long. He's sure to be #1 on your Spotify playlist AND in your heart. If you like country music, (or even if you don't THINK you do) and you haven't heard of Adam Doleac yet, you need to look him up ASAP. With his music rapidly climbing the charts, Adam is set to be the next big country artist, but there's more to him than just some guy who can strum a couple chords. 1. Have you heard his music? Because it's like, REALLY good. 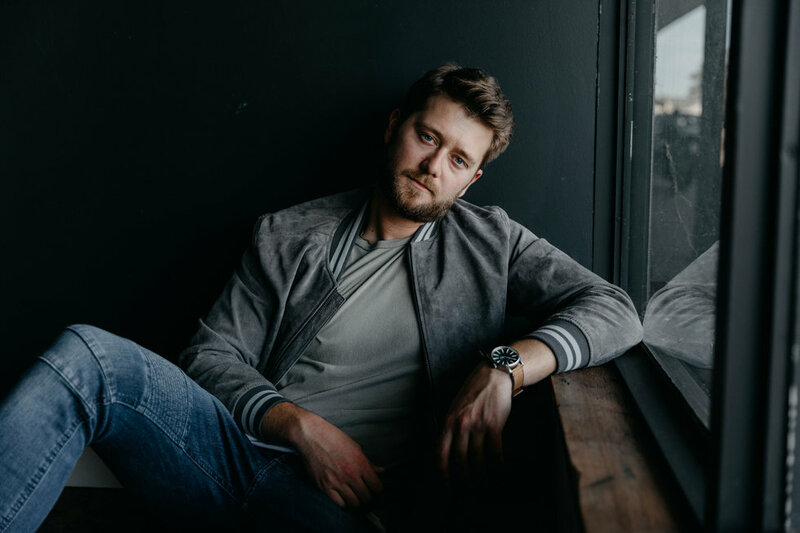 By combining good old country lyrics with modern meanings and his strong and gritty voice, Adam creates a soulful and epic ballad that is sure to quickly become your new favorite. With popular songs like Bigger Than Us, Whiskey's Fine, and Puzzle Of Us, he is rapidly gaining traction and credibility in the world of music artists. 2. He's also not too bad on the eyes. There's something about a man who can belt out a nice strong country song AND look good while doing it. 3. He's just a hard working guy from Mississippi. Mom and Daddy's Money says it all. 4. He played baseball in college, so I mean, obviously. Baseball boys win. All the time. 5. He's passionate about his music. His songs are full of soul and meaning and you can tell how passionate he is when he sings. Hang on, I've gotta go check my heart rate. 6. Colton Underwood and Cassie Randolph are big fans, so I mean, you probably should be too. These icons obviously know good music when they hear it. 7. He's got a good variety of songs. No matter what mood you're in, there's always a country bop for you, and there's a variety of places you can listen, too. One of his biggest supporters is Sirius XM, and in 2017 he was a featured artist on the Highway Finds Tour. 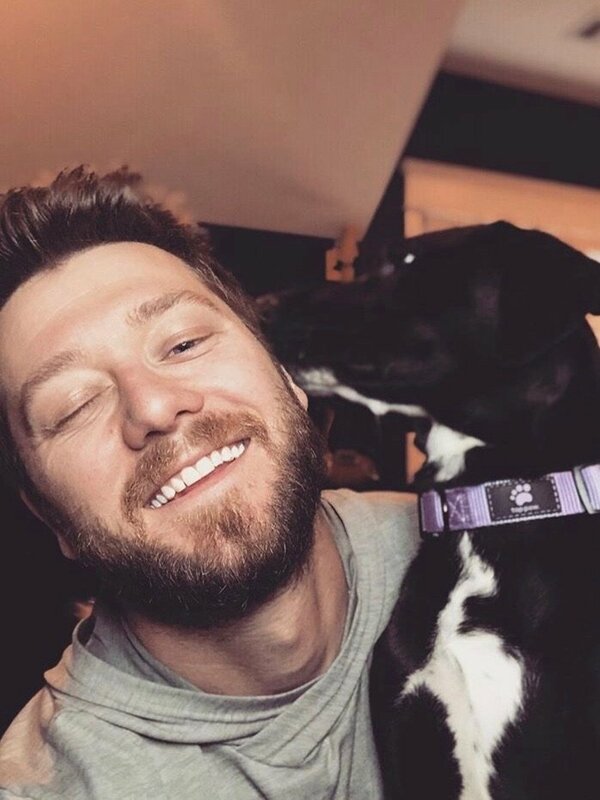 He has also snagged a publishing deal with Sony/ATV, and has co-written songs for a wide range of major country artists like Darius Rucker and Kane Brown, just to name a few. 8. Speaking of his music, (which I'm assuming by now you've already listened to) doesn't it make you want to just jam out? Picture this, you're riding backroads with your friends or your bae, windows down, wind blowing through your hair, Famous is turned up full volume, all is well in the world. 9. Did I already mention that he's hot? 10. He's kicking off his tour in his hometown of Hattiesburg. There's nothing like a guy who acknowledges his roots and loves his hometown. 11. He has a rescue dog. A RESCUE DOG. 12. He's pretty much the sweetest guy ever. Literally, every other picture on his Instagram is of him and his girlfriend with a sweet caption about how great she is and how much he loves her. If that's not the sweetest thing ever, then I don't know what is. Guys who show off their girls always win, all the time. Period. 13. He's passionate and hard working, two things that are hard to come by in today's society. Through all the music, Adam has remained true to his belief that hard work is essential to success. His passion for music and his strong work ethic have been the driving factors behind his career. Whether you're a seasoned country music fan, a newbie, or have never listened to country music before in your life, Adam's music is worth a listen because honestly it's so good, and before you know it you'll be jamming to all his new hits. Adam Doleac is sure to find his way into your fangirl heart. Give his latest music a listen here. Ariana Grande invited Justin Bieber on stage for a quick "Sorry" cameo during her Coachella performance and watching it was a waste of time. You may know her from her stint on "The Rich Kids Of Beverly Hills," but Morgan Stewart is now a host of several shows featured on E!, including the show in the hot seat, "Nightly Pop." This show is basically a big celebrity round-up of what is going down in Hollywood at the moment. "No! Poor song started before him, OK. I did not realize it was going to be that bad! *laughs*"
I mean, she's not wrong. His real vocals started a good few seconds after the first verse. The first time I watched him start singing, I actually cringed. Not because it sounded bad, but because you could NOT hear him and the lip syncing was so off! After Morgan's surprised response to his performance, the Biebs took to Twitter to express his feelings on her reaction. His complaints about her specific remarks continue in a thread of tweets. Ariana Grande made an appearance after JB's tweets to back him up saying that a lot of cameos sing with the original vocals and that they decided to do the performance 10 minutes before the show. Her tweets have since been deleted, shocker. So, let's cut to the chase. Morgan Stewart had every right to say what she did. She is a TV personality and her job is literally to talk about the happenings in the famous world. If she would've said, "Yeah Justin Bieber sang over his own vocals, that's all," and moved on, where is the juiciness in that?! And I'm sorry, but Justin, I could pull up a karaoke version of your song on YouTube right now. How hard could it have been to get the track with no vocals to sing with Ariana? Probably not very hard I'm guessing. Also, let's talk about Morgan Stewart's cohosts who said a lot more provoking things about the performance and Justin's appearance than she did. One cohost, Hunter March, playfully remarked after the mention of Justin's new album, "Oh good, I can't wait to hear him not sing it." I mean, that's just good television. And let's be honest, these TV personalities who are paid to discuss celeb deets say what they say thinking that the celebrities are not actually to watching it. They are there to entertain those who are not A-listers, sorry. In Bieber's tweets, he said that they should be building people up and not tearing them down with criticism, but what in the hell type of show does that? Maybe Disney Channel, but come on now. Does anyone else find Justin Bieber and Ariana Grande's responses a little counterintuitive? By calling someone out who is less famous than you on your MUCH LARGER platform really building people up? Is it really making the world a better place? I'm going to guess no. As someone who works in media, I find the unfiltered remarks from Morgan Stewart to be spot on. I mean she is just saying what everyone else is thinking. Get over it, Justin.